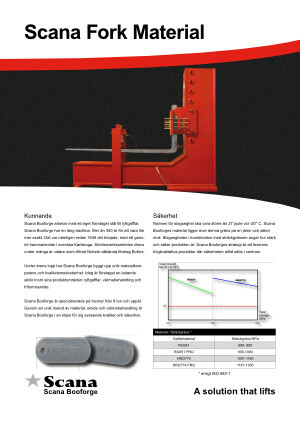 Here you can find all of our brochures. 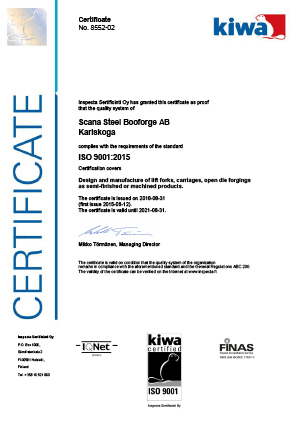 Scana Booforge is specialised in forklift trucks from 8 tonnes and upwards. 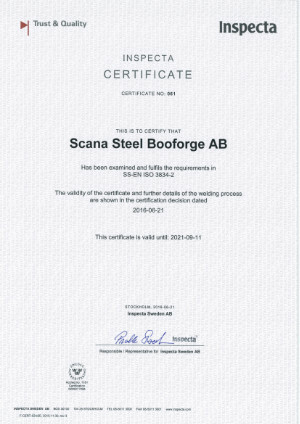 Through a unique combination of material, forging and heat treatment, Scana Booforge is in a class by itself in regards of quality and safety. – high capacity with thin forks, 50% higher loading rate. 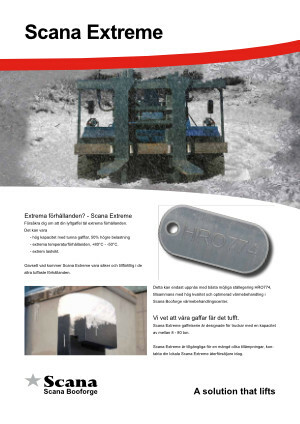 – extreme temperature conditions, +80°C – -50°C. 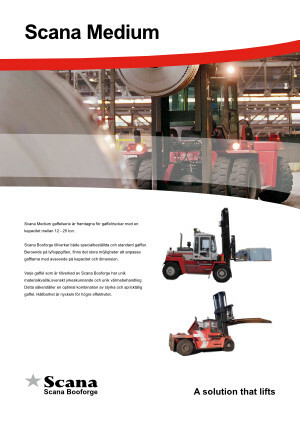 Scana Heavy fork arm range is designed for forklifts with a capacity range of 25 – 80 tonnes. It’s all about having a clear line of sight. 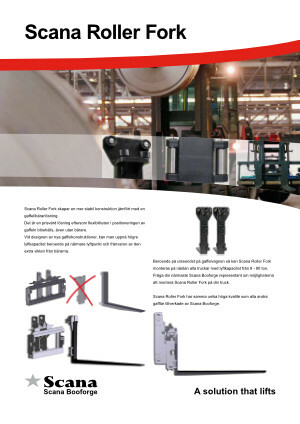 The Scana Freeview fork arms allow the driver to have maximum clear view even when the fork arms are positioned close together or in “coil”-positions. 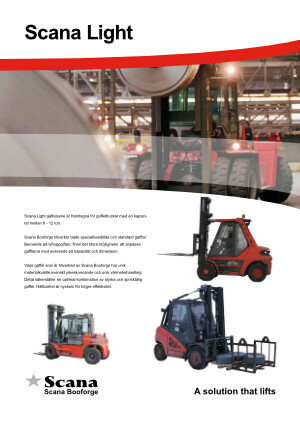 Scana Light fork arm range is designed for forklifts with a capacity range of 8 – 12 tonnes. 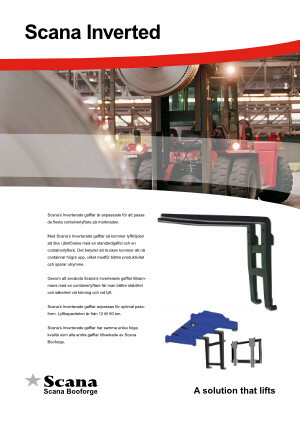 Scana Inverted Fork Arms are designed to fit any of the existing container spreaders on the market. 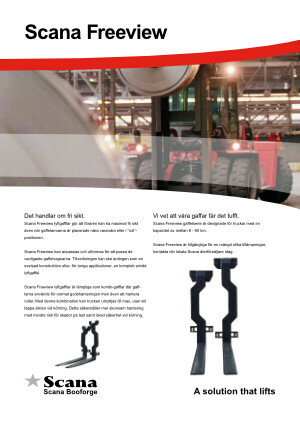 With Scana Inverted Fork arms, the lift height will be increased compared to a standard fork arm spreader lift. Do you need heavy duty forks? 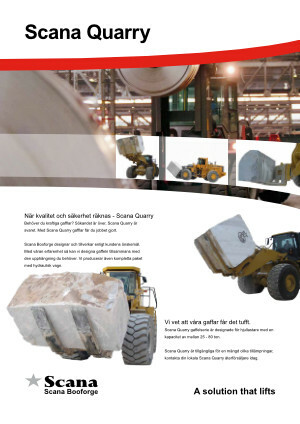 Look no further, Scana Quarry is your answer. With Scana Quarry forks you’ll get the job done. 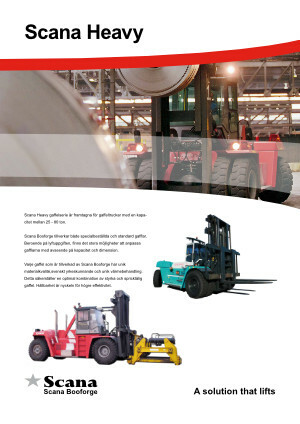 Scana Medium fork arm range is designed for forklifts with a capacity range of 12 – 25 tonnes. Scana Terrain Fork arms are designed for optimal use on uneven ground. As the fork arms are adjustable in vertical direction, up to 250 mm between the fork arms, the cargo can be handled even under the toughest conditions. 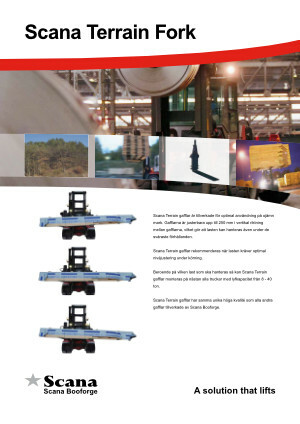 Scana Roller Forks creates a more stable design compared to a fork arm/carrier solution. It is an affordable solution of great value as the flexible positioning of the fork arm is remained even without a carrier. 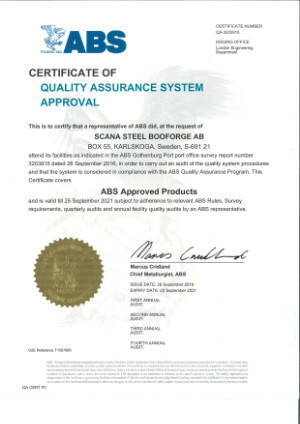 Rarely has the term ”Made in Sweden” been more appropriate to use. That is exactly what you get when you engage us for your free-form forging. 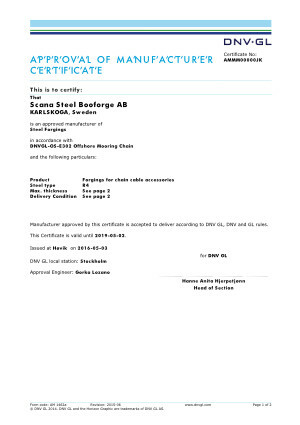 All of our products are forged in Sweden and the work is done by skilled professionals. 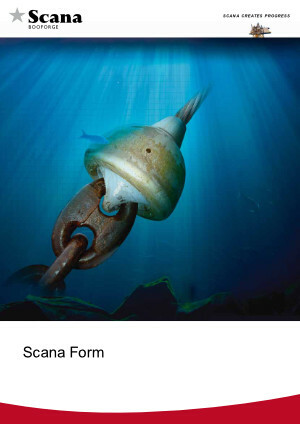 They have long experience and extensive knowledge in free-form forging, particularly for applications requiring complex shapes, small series and extreme strength.